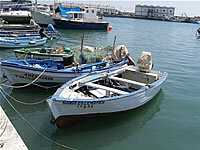 Estepona has traditionally been, and still remains, an important fishing town for the province of Malaga. Whilst the town maintains its Spanish charm, tourism has become its major concern. It is a very popular destination for people visiting from all over Europe. Fortunately, much of the vast building programmes that have hit the Costa del Sol (in Torremolinos and Fuengirola) have been kept at bay by the local authority as it is seeking to maintain Estepona as a smaller, more intimate resort, that keeps its Spanish traditions. Whilst some building work has been undertaken, the offset of this is that funds are available to the council for its infrastructure and improvements. All around Estepona there is evidence of this investment being put back in to the town. Roads are edged with flower boarders, Palm trees line the promenades and streets, fountains grace many of the roundabouts and public places, open squares have been reformed and many of the ancient Moorish monuments have been restored or preserved. Tourism has brought with it many new shops, bars, restaurants and attractions, but the traditional street cafés and tapas bars still abound. Estepona also has wonderful sandy beaches which have achieved the European Blue Flag standard for cleanliness, safety and facilities. The public beaches along the town have showers, beach bars offering food and drinks and lifeguard stations (not during winter). The town also boasts three museums showing its history and development. There is one in the bullring which is dedicated to bullfighting paraphernalia including traditional costumes, photographs and posters. Along side this is the museum of local interest exhibiting articles from Estepona's farming and fishing past. Behind the bullring you will find the Fossil museum with some 2000 exhibits and the Archaeological museum with remains from the Paleolithic era and from the time the Phoenicians settled here over 2,600 years ago. Estepona was originally one of the main fishing towns on the Costa del Sol - second only to Malaga. Whilst a fishing fleet still operates from the west side of the port, it is a much smaller concern than in past years. The majority of the fish caught is now sold directly to the supermarket chains (you can watch the auctions if you like! ), however, some of the boats will still sell direct off the boat to the public (get there early though - before 7am - to get the freshest catch!). . The Port has seen changes over the years and is now one of the main places for bars, restaurants and nightclubs in Estepona. There is a large sports marina which is home to many yachts and pleasure craft. From here many charter boats leave for fishing excursions or day trips out into the Mediterranean to see the dolphins that play in the Straights of Gibraltar. A very popular Sunday morning craft market is also held here selling leather goods, jewelry, pottery and nic naks. Further changes are imminent as we understand permission has been given to extend the marina to allow a further 600 berths plus there are plans afoot to allow larger cruise ships to dock at Estepona in the future.